Gemini Gymnastics has a long history of international representation and success. Recently, national team member Ana Padurariu has been continuing to follow this path. In November, at a major international competition in France, Ana once again proved that she can compete with the best in the world. Elite Gym Massilia’s three-day event was host to some of the top clubs and countries in the world. Ana competed on Team Canada Junior in the Open Division where they won the team gold medal. Ana secured an all-around gold medal finish as well. 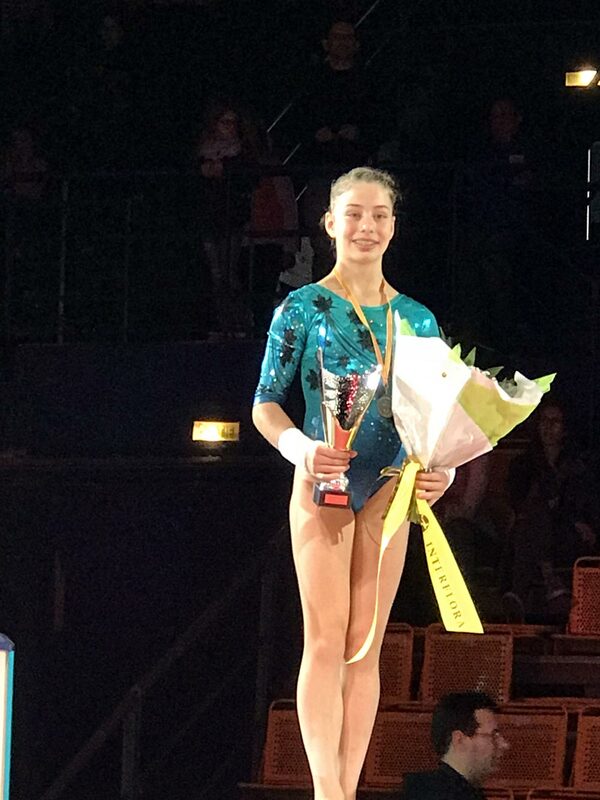 These great results helped the Juniors to advance to the Masters Massilia where only the top two teams from the Open Division were invited to compete. In the Masters competition, Team Canada, led by Padurariu, won the bronze medal competing against senior athletes. Ana also captured the all around bronze medal for this competition. The third day of competition was reserved for event finalists of which Ana qualified for three apparatus in top positions. She earned a spot on the podium for all three apparatus earning a silver medal for floor exercise, and a bronze medal for uneven bars and balance beam. Preparation is now underway for Elite Canada competitions from Jan. 31 to Feb. 4, 2018 being held at the Université Laval in Québec.